This week, I’m heading to Paris to speak at the Paris Salon du Livre (Paris Book Fair). The Salon du Livre is a fantastic cultural event which brings together leading authors from all over the world who write in French and other languages, for five days of debates and talks. I’ll be speaking as part of a Round Table on Joseph Zobel alongside colleagues from the Sorbonne, authors, and members of Zobel’s family… more to follow next week! On Saturday 31st January, I attended an AHRC-funded event on Britain’s Black Community and the Great War, held at the Library of Birmingham. 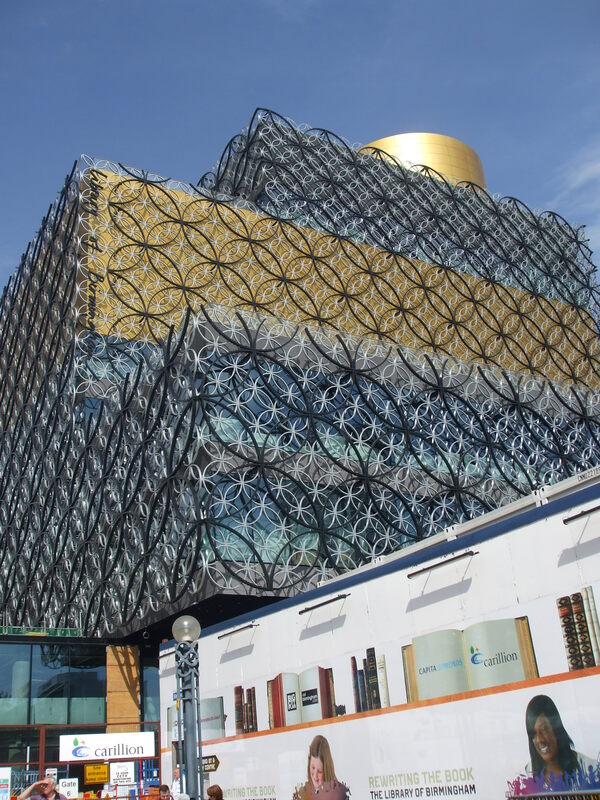 The Library of Birmingham opened in 2013 and is one of the city’s flagship buildings and a really important community space. This photo shows the library shortly before it was completed – the white boards at the bottom of the building have now been removed. It was fantastic to meet a range of speakers from community groups in the Midlands area and to learn more about figures such as footballer Walter Tull, who fought and died in the First World War. I discussed my work on Zobel, and the event has spurred me on to think about the French Caribbean and WW1, particularly in the light of the WW1 Centenary. I’ve created a new page with more information.